I meant to post this a long time ago. I had everything typed up, and I had pictures. The reason I didn’t end up posting this when I first wrote it is because I was testing out two products and couldn’t figure out which one was smudging. At the time, I was testing both this liner and the Pop Beauty Smoky Lash Kapow Mascara. Because I couldn’t decide which product the smudging was from, I did it again. And again. Every time I did it, something would happen. I would fall asleep or watch a movie that would make me cry. So now, I have finally tested it without any major mishaps. This picture was taken at 3:28, but I originally put on the liner at around 3:15. So I wore it for about 4 hours. As you can tell, there was some smudging. Before we get in to that though, I wanted to talk about the application. 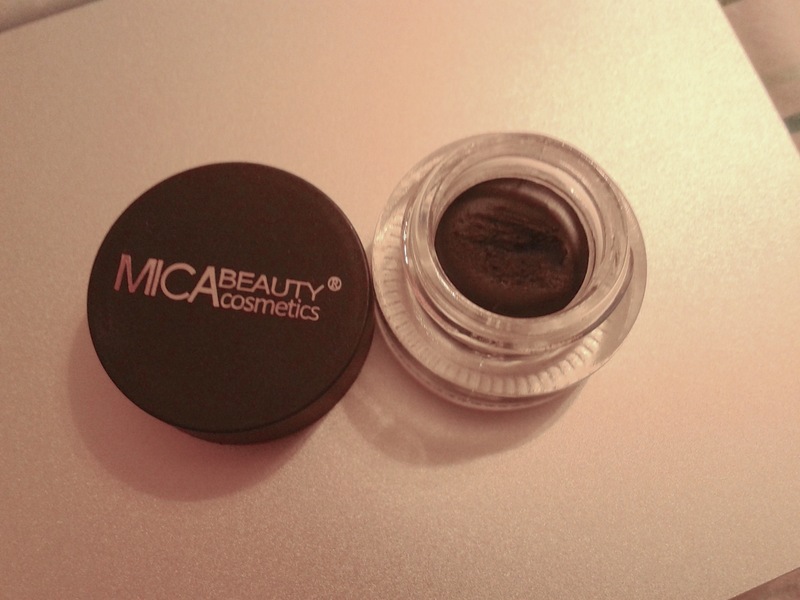 This liner is very creamy and smooth. It’s easy to work with and is easy to fix any mistakes. Obviously, this is both good and bad. Good because any errors can be wiped away easily and bad because that most likely means the liner isn’t very lasting. On to the lasting power. Clearly, this liner isn’t the best. It doesn’t claim to have any crazy amount of longevity, but 4 hours is weak, IMO. I didn’t even do anything today. I spent the 4 hours I had this on watching Body of Proof . I didn’t cry. I didn’t fall asleep, though I was getting drowsy. I was laying on a pillow, but I didn’t do anything to smudge it there. The only thing was that my eyes did water a bit because I was yawning. Even though that may have led to some smudging, I still don’t think the lasting power is good. Granted, I do have oily skin and oily eyelids, but still. I used the Mirabella Primer, I wasn’t outside, I didn’t sweat, it wasn’t hot. Basically, I’m not a big fan of this gel liner. I haven’t used it in a while, but I think the Maybelline is better and, for a fraction of the price. I believe the Maybelline one is about $6-7 depending on where you get it; where as, the MicaBeauty one is $35 online, though the one given in my February bag isn’t the exact same. Once again, sorry this is so late. I hope it was helpful!